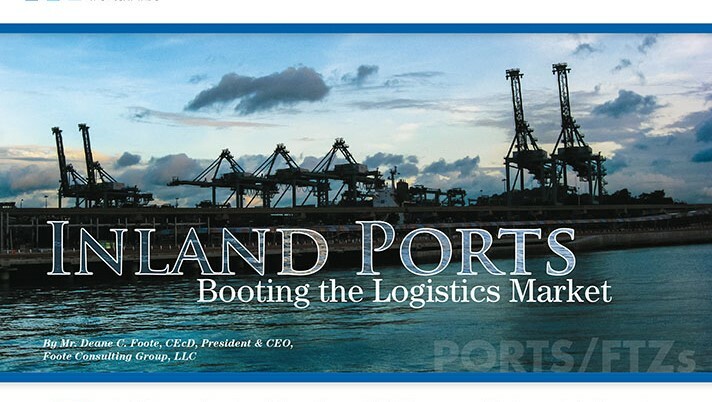 We wanted to share a very comprehensive article about Inland Ports in Expansion Solutions magazine. The article talks of increased imports to the US and congestion at traditional ports contributing to a shift to an “inland port” model. Inland ports also reduce the need for long -haul trucking whose costs have risen in comparison to rail due to shortages of drivers, and changes in hours of service rules. Transload services at these locations help reduce overall costs in the supply chain. Inland ports which offer Foreign Trade Zones (FTZs) (such as the Port of Montana) can also offer significant benefits such as customs duty saving capabilities, duty deferral, consolidating US Customs and Border Protection entries into a single weekly filing and lower labor and property costs in relation to locations in traditional ports. Read the full article here: http://www.expansionsolutionsmagazine.com/091015_portsftzs Article by Deane C. Foote, CEcD, President/CEO of Foote Consulting Group, LLC a site selection and economic development consulting company.